Making its debut in at the Paris motor show 2010, Peugeot 508 marked Peugeot’s presence in Grand Tourer segment. 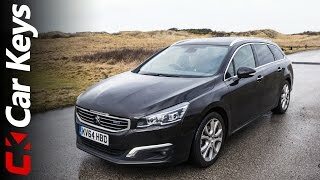 Despite the fact that Peugeot 508 SW 2015 shares its chassis with Citroen C5 Tourer, its remarkable features give it a distinct identity. 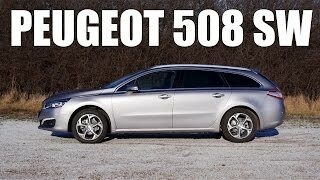 Let us have a look at review of Peugeot 508 SW 2015 to know more about it. Interior of Peugeot 508 SW 2015 is a mile ahead of what we noticed in its predecessors and the model it shares chassis with. Starting with the cabin you’ll notice a seven-inch touchscreen giving you command over major functions linked with infotainment and entertainment. Due to switch of controls to touch enabled device, central panel gets comparatively few buttons while a storage box with lid is inculcated in center console. Assisting primarily the driver, Peugeot 508 SW the instrument panel gets a revised look with a head-up display featuring all vital information related to driving and navigation. This makes the ride safer as the driver doesn’t get distracted while looking for basic ride related information. Luxury drenched interior of Peugeot 508 SW 2015 gets a class ahead with features like, keyless entry and starting, automatic electric parking brake, automatic headlamp dipping etc. The exterior of Peugeot 508 SW 2015 looks both luxurious and sporty with its build. Starting with the front fascia of model is adorned with newly designed grille sitting amidst redesigned set of headlamps with integrated daytime running lights. Beneath them are mounted fog lamps that add to the blend of beauty with direction indicators. The entire front end is neatly designed with innovative elements marking their presence commendably. Moving towards the rear fascia of Peugeot 508 SW you’ll notice newly designed bumper fulfilling the task of protection while the taillamps get bit more horizontal when compared to last model. 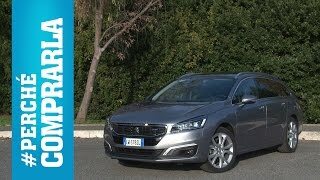 Rounding up the entire exterior of Peugeot 508 SW 2015 there are lot of innovative changes that make this model ahead of its predecessors. 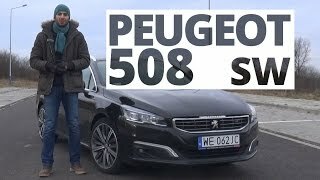 Beneath the hood of Peugeot 508 SW 2015 lies three powertrain options; First is a 1.6 Liter THP Stop & Start petrol engine generating 165 hp and comes paired to six-speed manual as standard with an option to go for EAT6 six-speed automatic gearbox. Seconds in the list is a 2.0 Liter Blue HDI engine cranking 150 hp and paired to six-speed manual gearbox while the last is a Hybrid engine delivering 163 hp and is paired with 37 hp electric motor. Thus the unit generates total output of 200 hp. Peugeot 508 SW 2015 offers you four driving modes namely, ZEV, WD, Sport and Auto.